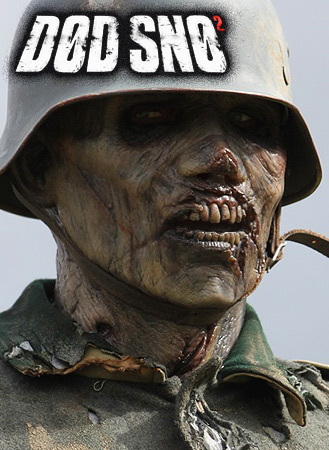 Nimba Creations was contacted by the crew of Dead Snow 2 (Død Snø 2) who asked us to provide a small army of masks to use in their film. Tom personally modified copies of our ‘Survivor’ silicone zombie mask to make each one look different, except one which kept the original design but was given a new paint scheme to fit in with the world of Dead Snow. Now you can own a copy of this mask as seen in the film; we call it our ‘Dead Snow 2 Variant’. If you want a mask that comes straight from a film set, you won’t get any closer than this. look out for Dead Snow 2 – out now on DVD! Omg just a great face I would luv that for comic-con 2014!